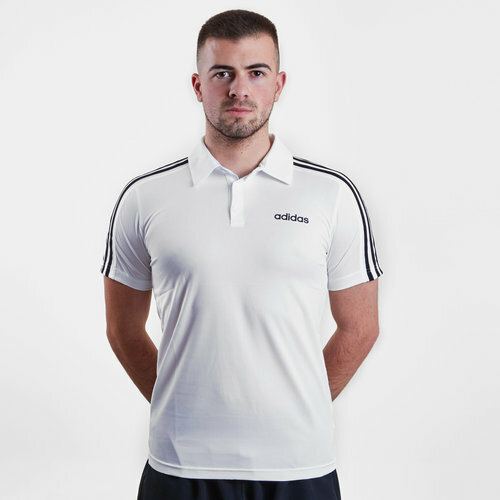 Crafted with breathability in mind this adidas D2M 3 Stripe Core Training Polo in White and Black will put you straight into the spotlight. be the envy of everyone in this polo shirt and make every pitch your stage. This top uses breathable and quick-drying fabrics whilst the Climacool battles the heat. With mesh panels under the arms and on the back this polo provides targeted ventilation. Displaying 3-Stripes on the sleeves, this polo offers a high degree of protection against UV rays.